The platform has apologised to those very people whom the poster was calling out, only because they are noisier and better organised. Twitter CEO Jack Dorsey. Credit: Reuters. 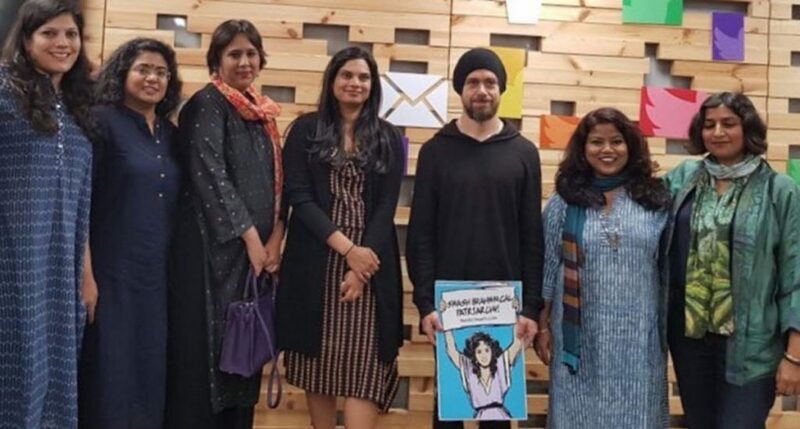 Going by its own standard of allowing a multitude of diverse voices to have their say, Twitter India should have invited not just a group of women, but men as well, and thrown in a few rabid right-wing trolls into the mix. 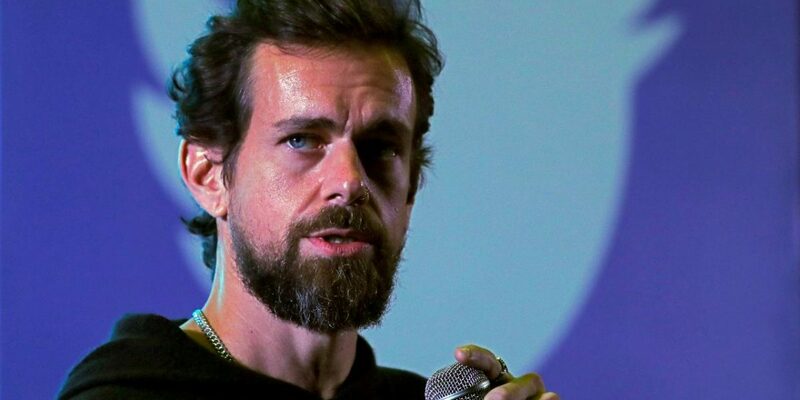 The problem it is facing now would not have surfaced – both sides would have slugged it out right there, with Twitter boss Jack Dorsey indulgently looking on and local employees happily listing it as one more example of the engagement of all kinds of views that they want to encourage. But it did not. And see where it has landed them – in a controversy which has necessitated an apology by its legal head. But more on that later. 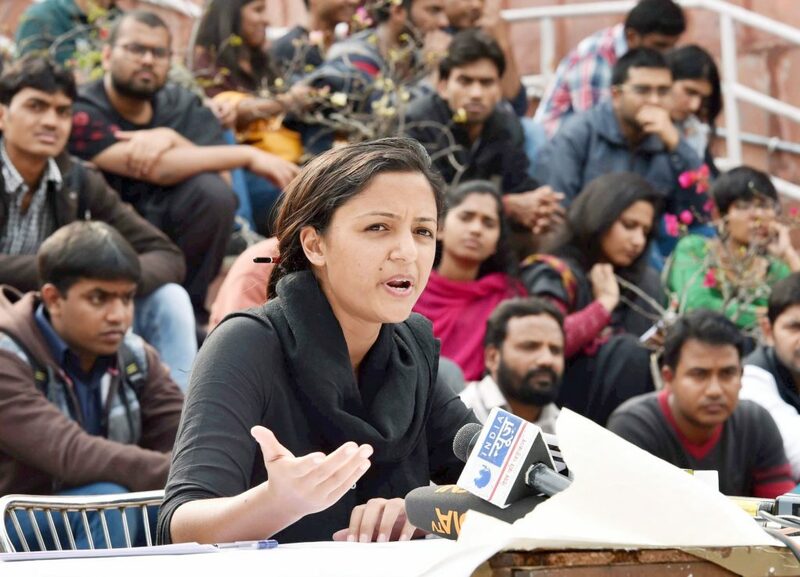 Recently, student and activist Shehla Rashid publicly announced that she was stepping away from Twitter and would deactivate her account. Rashid was a vocal presence on the social media platform, and was regularly pilloried, abused and threatened on a daily basis – as a leftist, that too from JNU, as a woman who spoke her mind and most of all, as a Muslim who refused to submit to bogus stereotypes, she was a troll-magnet. Rashid wasn’t to be cowed down and in her feisty way, used to give it back. Her replies to her critics were often laced with humour and irony rather than apologia or victimhood – I don’t recall her ever saying “why am I so misunderstood.” This kind of attitude took the sting out of the criticism, which must have angered her trolls even more. Now she was getting off the platform. According to her, the “toxicity and negativity” had got to her, affecting her psychologically. She woke up every morning to abuse, which took a toll on her. So, despite being on it for eight years and amassing a following of 500,000, she had decided to disengage. My own following is much more modest and I have not yet deactivated my account, but barring the occasional retweet, I have gone off it. I don’t check my notifications – which had become an obsession at one time – and don’t bother to see what people are saying , especially or about me. This means I no longer get stressed if there is abuse – and I get my fair share – I don’t know about it, and frankly don’t care. As far as I am concerned, my abusers are shouting into a vacuum and seeing zero response, and will probably move on. I cannot even begin to compare what used to come my way with what many others, especially women, have to face. For some reason, opinionated women get the worst of it – there have been direct threats of violence to them and their family, including children. Other targets include anyone who take a progressive, liberal stance against bigotry, casteism or hate-mongering. Those with a higher public profile are seen as fair game. Swati Chaturvedi has written about troll armies, chiefly of the BJP and how these campaigns work and are funded. She can spot a sponsored attack within seconds and often is a victim of those “10 rupees per abusive tweet” warriors; not that it fazes her. But there are freelancers too, unpaid but enthusiastic supporters of the party and its cause, who join in. Social scientists will one day examine a few specimens and try to understand their minds, they appear to be fuelled by resentment, inferiority and a desire to be noticed. Casting a stone or a slur at someone, especially if that person is successful and may be against your own hero, can be a heady feeling for anyone in the depths of anonymity. It’s like joining a lynch mob and raining a couple of blows – it can be an adrenaline booster after one can go and meet friends and boast about it. If this sounds like pop psychology, I know of people who fit this description to a T and are serial trolls. Such people have always existed in society. The anonymous letter writer, the gossip, the snitch who feels left out and put upon and simmers with bitterness and wants to see the object of that emotion pulled down a notch or two. Except that in the older, offline (real) world, the damage that could be afflicted was limited; now, a platform like Twitter allows not just venting, but also amplification and anonymity. Much of the blame must be taken by Twitter. In the name of providing a platform for all kinds of opinions (and, of course, to increase its numbers), it doesn’t care about what is said and who says it. Fake names are not discouraged. This allows people to remain anonymous and get away with wild and vile allegations. A person simply has to make the allegation, wait for it to get picked up and then shut down the account. The mud sticks, the culprit gets away, with no chance of nailing him down. Getting help from Twitter is not easy and complaining to the police often goes nowhere, as one is discovering. This only encourages the culprit to continue with these shoot and scoot tactics. In this toxic cesspool, only the slimiest can survive. Twitter says it allows free exchange of views, which is the essence of democracy. It sounds great in principle, but normal, reasonable conversation cannot be equated with threats, obscenities and hate speech, more so when one party remains hidden. This is where Twitter has got it seriously wrong – the extremists have taken advantage of this policy and gamed the system. Which is why the apology by the Twitter legal head to those who got offended by Dorsey holding up a placard saying “Smash Brahminical Patriarchy” is so hypocritical. It has apologised to those very people whom the poster was calling out, only because they are noisier and better organised. Twitter should have said, in the spirit of what it often proudly proclaims, that it does not institutionally support anyone view and if anyone has objections to what is stated on the poster, they are free to go online and say it. As a company, it will stay out of it. It is apparent that Dorsey has no opinion on Brahminical patriarchy – he may not know much about the caste system and in good faith held the gift given by a guest his company had invited. He did no wrong. This could have been stated by his local office, simply and without further explanation. Instead, the company’s officials were shaken by the vocal backlash (and undoubtedly a realisation that the powers that be had not taken to it very kindly) and rushed to say sorry. Many who have suffered at the hands of the trolls may wonder when it will apologist to them for the hurt that has been caused. What a glorious self-goal!